The acceleration of restructuring in China’s steel industry and an increasingly aggressive environmental clampdown had a significant impact on the global iron-ore industry in 2017, and according to Australia’s Department of Industry, Innovation and Science, the sector is in for a bumpy ride in 2018. Creamer Media’s Iron-Ore 2018 Report provides an overview of the global iron-ore market over the past year, with particular emphasis on supply and demand, trade and pricing. 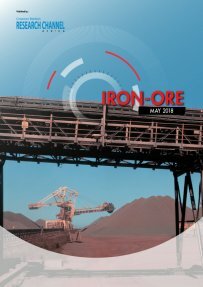 Not only does it provide information on South Africa’s iron-ore market and its major producers, but also an overview of the major global iron-ore producing companies and other significant producers. Published on: 02 May 2018.